The black hole in the middle of our galaxy, Sagittarius A *, has been visualized in virtual reality for the first time. The details are described in an article published in the open access journal Computational Astrophysics and Cosmology . 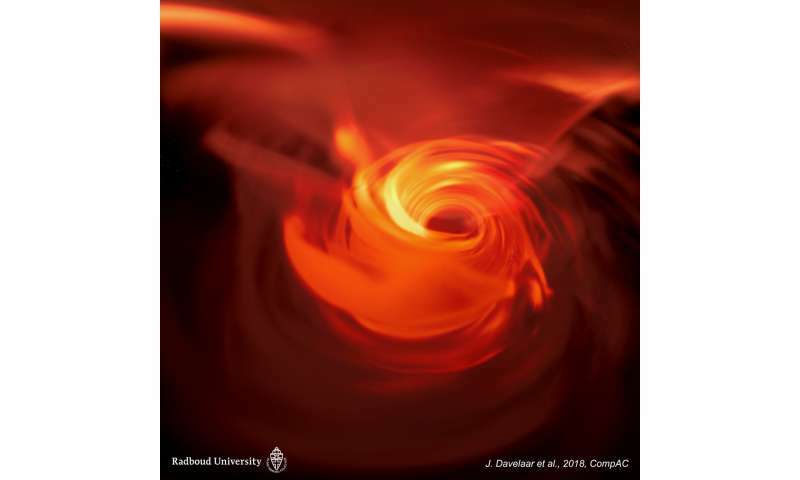 Researchers at Radboud University, The Netherlands and Goethe University, Germany, used the latest astrophysical models of Sagittarius A * to create a series of images that were then combined to create a 360 degree virtual simulation simulation of the black hole, which can be seen on publicly available VR consoles. 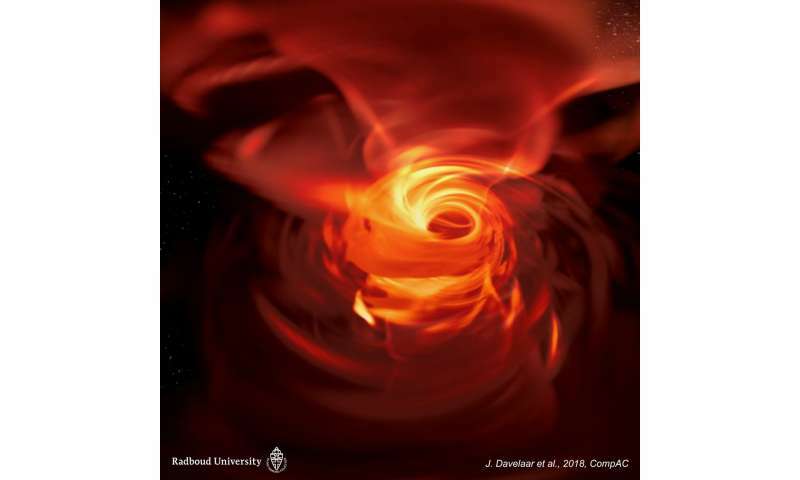 The authors suggest that this virtual reality simulation can be useful for studying black holes. The authors also suggest that virtual realization simulation could help encourage the public, including children, to be interested for astrophysics.